· Hollywood Walk of Fame. 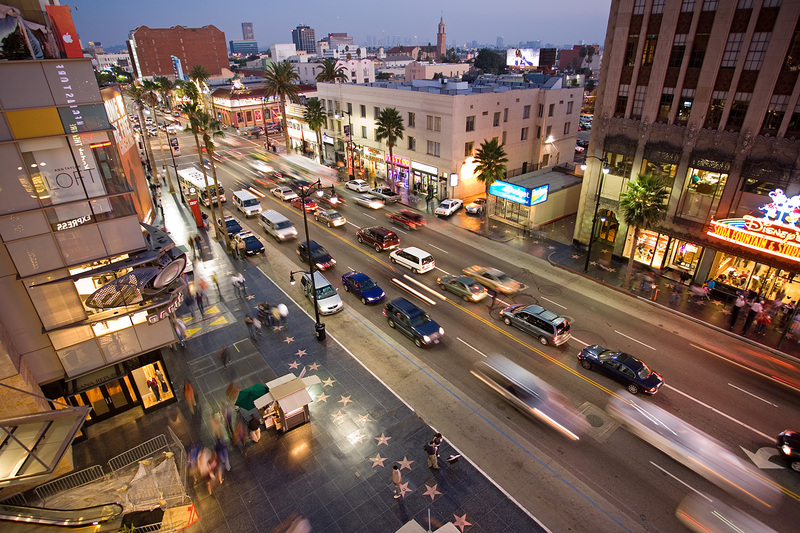 Find the pink terrazzo stars commemorating your favorite celebrities while enjoying close proximity to the Hollywood & Highland complex, Dolby Theatre, TCM Chinese Theatre, Madame Tussauds Hollywood, and much more. · Universal Studios Hollywood. "The Entertainment Capital of L.A." never disappoints, combining theme park thrills with fascinating studio tours, great dining and shopping, and entertainment for the whole family. · The Hollywood Sign. Now a protected national landmark, the Hollywood Sign may be L.A.'s single most iconic attraction. · Celebrity homes. Visit stunning estates in exclusive neighborhoods like Beverly Hills and Bel-Air and see how "the other half" really live. · Venice Beach boardwalk. This colorful commercial strip on the Pacific coast in Venice Beach is one of the city's most interesting and intriguing treasures. · Santa Monica Pier and 3rd Street Promenade. The beautiful beach community of Santa Monica is the perfect place to spend a day shopping, dining, or relaxing with the family. · Beverly Hills-Rodeo Drive. You've already seen how the other half live. Now you can see where they shop! · Museum Row. This stretch of the famed Miracle Mile neighborhood commemorates L.A.'s fascinating past and hints at the city's incredible future. · Getty Villa. The legendary American millionaire J. Paul Getty left behind this treasure that overlooks the Pacific Coast Highway. It's a must-see for anyone interested in history, culture, and the arts. All these attractions, and many more, are within easy reach when you choose City Sightseeing Los Angeles. Our hop-on hop-off sightseeing buses and guided tours are perfect for enjoying an unforgettable visit to these world-famous sights.